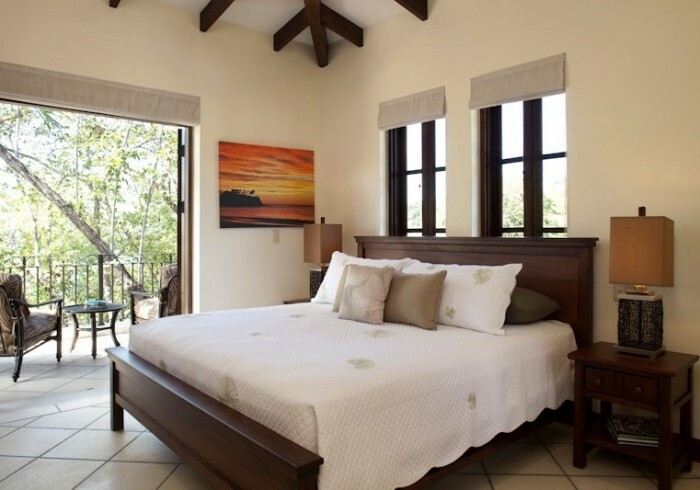 Casa Celaje is a lovely three-bedroom, three-bathroom house perfect for families looking for a place to relax and have a great time. Each of the three levels of Casa Celaje offers stunning views of the Pacific Ocean. The living room is comfortable and spacious, just as the fully equipped gourmet kitchen. Savor your meals in the beautiful main table overlooking the ocean. The three air-conditioned master bedrooms are spacious, receiving natural light through wide windows. All bedrooms have their own bathroom adorned with elegant tiles. Two of the master bedrooms featuring king beds offer an enchanting balcony with sitting spaces. The other master bedroom featuring a queen bed and a trundle offer unique views of our beautiful town. Sit back and relax or take a dip in the private plunge pool while listening to the crashing waves in Playa Danta. All rooms and areas feature A/C, ceiling fans, TV, WiFi, and phone. All houses offer Signature House Mom Service, concierge.